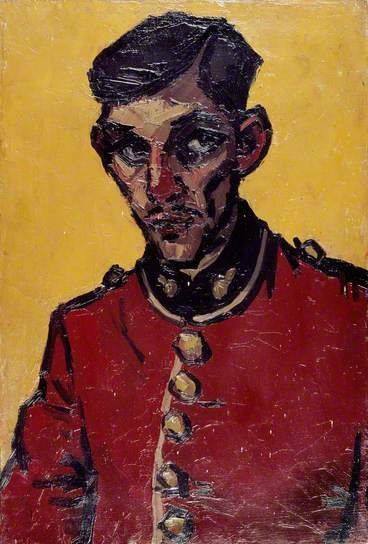 He was Wales’s greatest artist of the twentieth century. 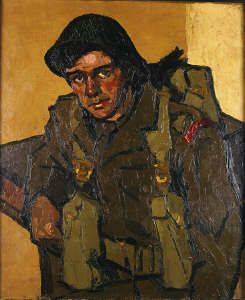 He came from Anglesey and served with the 6th Battalion before and during the early part of the Second World War before being medically discharged. 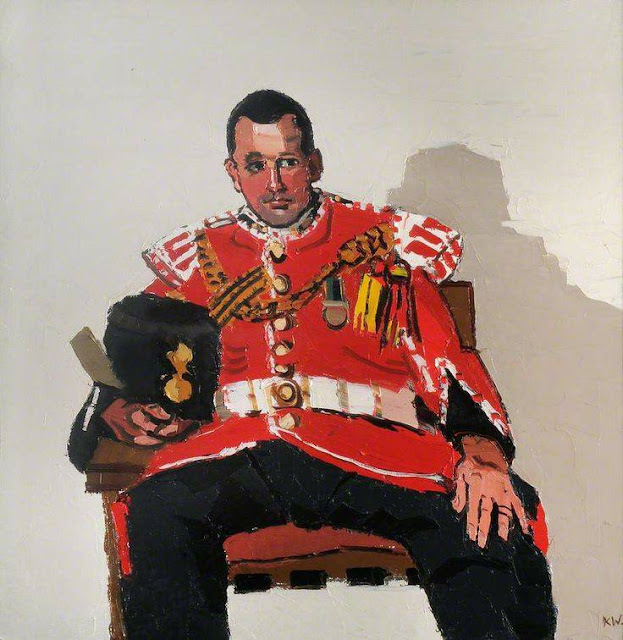 Three of his paintings of Royal Welchmen are in the Regimental Museum. You might be interested in seeing how the art work was done for the panels in the connecting corridor between the two towers of the Museum. At the end of the cataclysmic conflict of the First World War some units took photographs of those soldiers who had started and finished the war in the same unit. 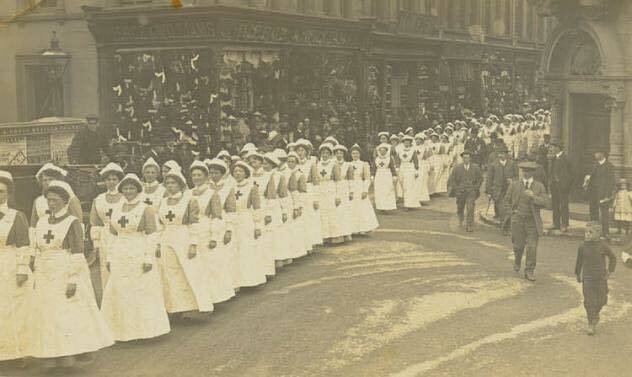 Numbers were understandably small when considered those who were killed, 10,000 Royal Welshmen, wounded or due to their service at the front impacting their health making them unable to continue to serve. 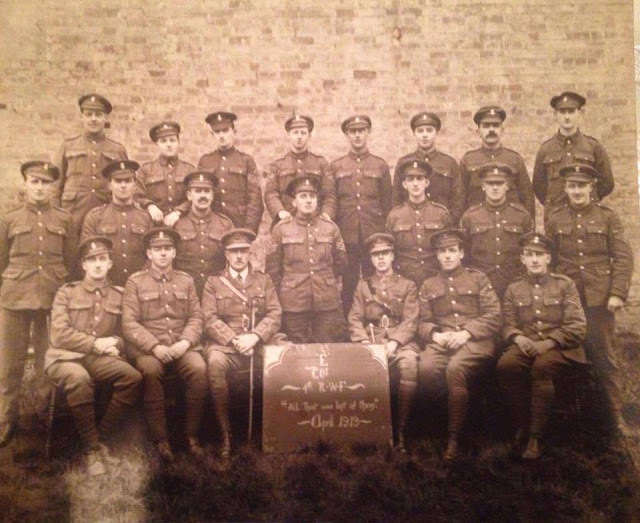 These photos are of 1 and 4 RWF who would have gone to war with a relatively well established and experienced group of soldiers. 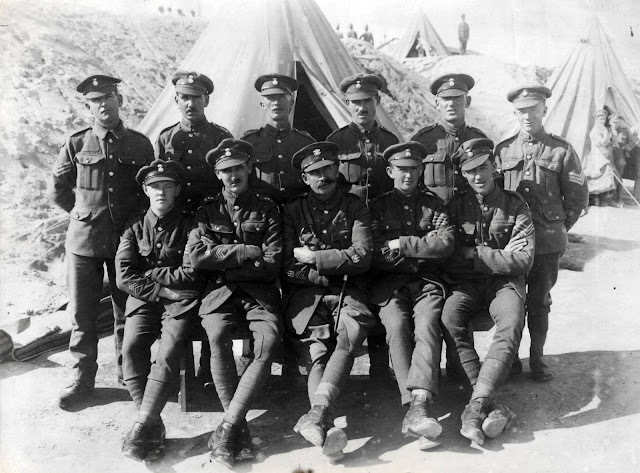 Many would have been friends for many years prior to the start of the war and so the impact of casualties would have had a big impact on those who survived. 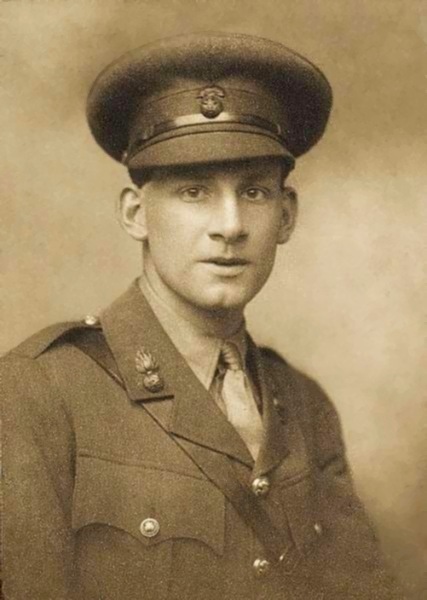 30 June 1916 Siegfried Sassoon is notified that he has been awarded the Military Cross. 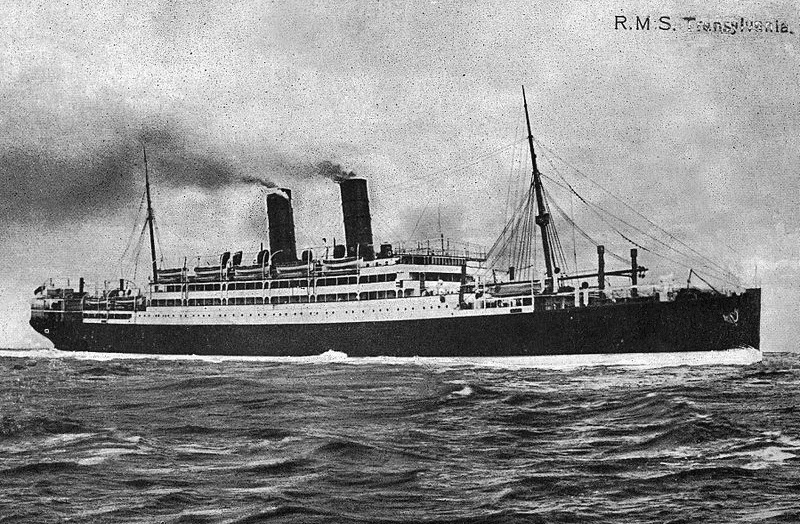 The SS Transylvania was a passenger liner of the Cunard subsidiary Anchor Line, and a sister ship to SS Tuscania. She was torpedoed and sunk on May 4, 1917 by the German U-boat U-63 while carrying Allied troops to Egypt. She sank with a loss of 412 lives which included some RWF. Joseph Edward Jones 20862 - On Thursday 3 May 1917, he with other troops, boarded the SS Transylvania at Marseille for Alexandria, Egypt. At 10 am on Friday 4 May 1917, the ship was struck by a torpedo fired by U Boat U-63 under the command of Otto Schultz. Joseph along with many others was killed. William Parry from the 7th Battalion Royal Welsh Fusiliers sailed on her and was on board when she was torpedoed. He survived,taken to Savona and eventually sailed on another ship to Alexandria. 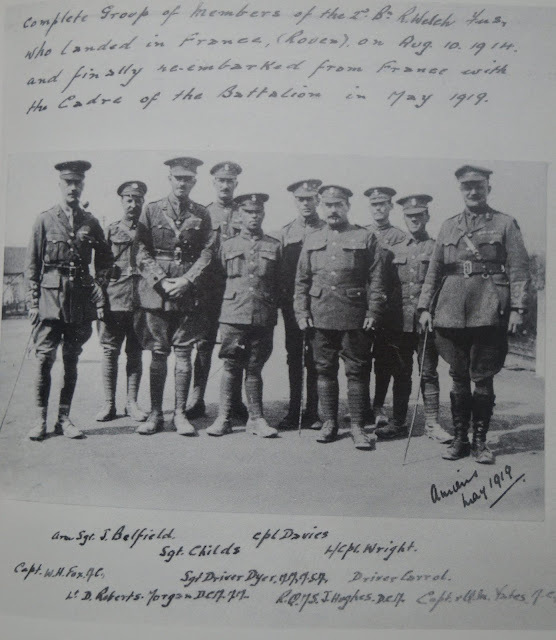 He was wounded before Allenby’s march on Jerusalem and repatriated in November 1917. Hedd Wyn (born Ellis Humphrey Evans, 13 January 1887 – 31 July 1917) was a Welsh language poet who was killed near Ypres, Belgium, during the Battle of Passchendaele in World War I. 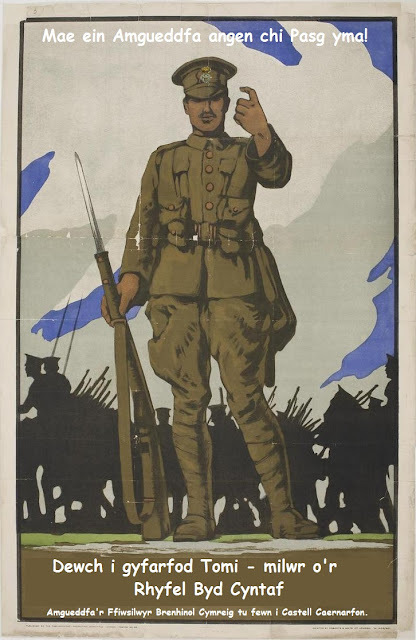 He was a Royal Welsh Fusilier. He was posthumously awarded the bard's chair at the 1917 National Eisteddfod. Evans, who had been awarded several chairs for his poetry, was inspired to take the bardic name Hedd Wyn (Welsh: blessed peace) from the way sunlight penetrated the mist in the Meirionydd valleys. His style, which was influenced by romantic poetry, was dominated by themes of nature and religion. He also wrote several war poems following the outbreak of war on the Western Front. See also the Oscar nominated 1992 film, Hedd Wyn (film). 2nd Lt George Bayntun promoted Lt during the Revolutionary War in America. Bayntun’s service is listed below. The attached portrait of Bayntun was purchased by Brigadier Eric Skaife, in the 1930s and now hangs in the Regimental Museum. BAYNTUN, George Edward Werden. Born in 1738, the eldest son of Edward Bayntun ( –1777) of the Coldstream Guards, and Susanna (née Werden) co-heiress with her half-sister, the Duchess of St Albans. He was commissioned 2nd lieutenant RWF, on 22 November 1775 and promoted lieutenant on 10 March 1777. 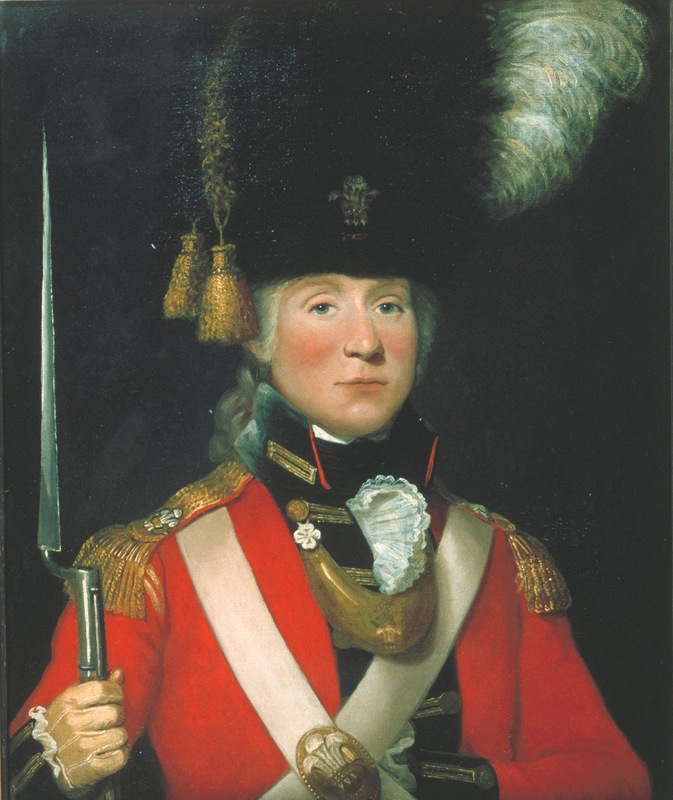 He served in North America during the revolution and is known to have done duty in HMS Centurion from 2 August to 19 September 1778 when the RWF, volunteered for service as marines in the fleet under Admiral Lord Howe. He is noted as a member of the Officers’ Mess Committee in the minute book signed at Chatham on 25 November 1787 but he transferred to the 2nd Foot as captain on 4 November 1788. He sold his commission in 1793 and died in 1806. His portrait in oils by Thomas Beach (1738–1806) was purchased by Brigadier Skaife (q.v.) in ?1937 (see Y Ddraig Goch, January 1937, page 4) and was bequeathed by him to the regiment. Bayntun’s dress in the portrait is discussed in Y Ddraig Goch, March 1961 page 57. His brother, Admiral Sir Henry Bayntun GCB (1766–1840) commanded HMS Leviathan at Trafalgar. 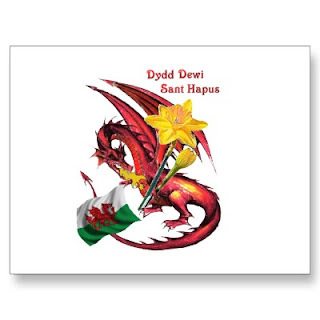 Probably nowhere is the patron saint of Wales, Saint David, so ceremoniously and so regularly honoured as on the 1st of March wherever the Royal Welch happen to be. 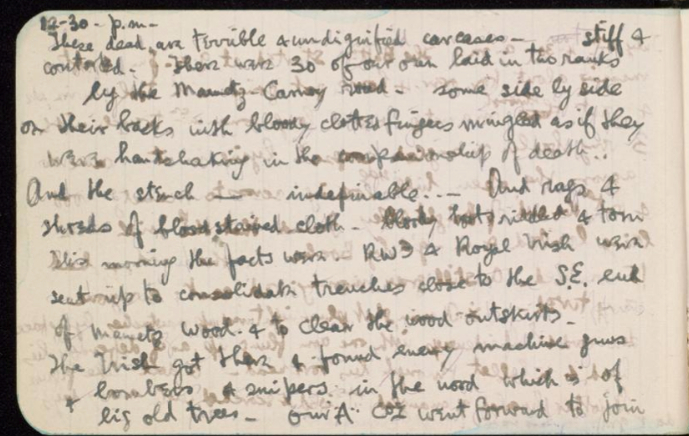 In peace and war, at home or overseas, leeks are worn, and the day observed, as far as possible, as a holiday. The ancient ceremony of eating the leek in the Officers' Mess has remained largely unchanged over the years. It is recorded that "…the officers give a splendid entertainment to all their welch brethren ; and after the cloth is taken away… the band playing the old tune of, "The Noble Race of Shenkin", when a handsome drum-boy, elegantly dressed, mounted on the goat richly caparisoned for the occasion, is led thrice round the table in procession by the drum-major…" Although no longer ridden, the Goat is still led around the table after dinner, followed by a drummer, fifers and drum-major carrying a silver salver on which are raw leeks, and the mess sergeant with a loving-cup filled with champagne. They halt by the latest joined subaltern who stands on his chair and, placing his right foot on the table, eats a leek while the drummer plays a continuous roll until it is completely consumed. 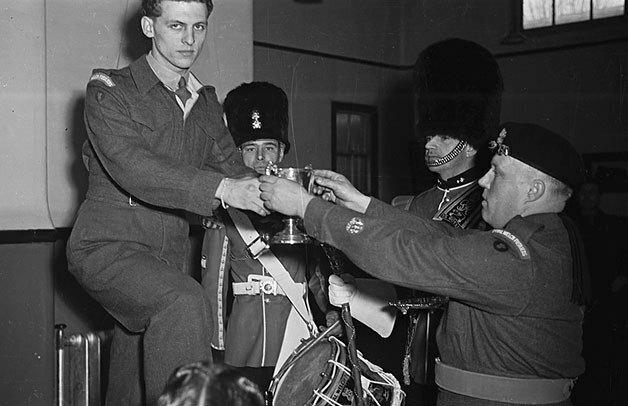 He is then handed the loving-cup for the toast 'and Saint David'. All those present who have not 'eaten a leek' with the Regiment, including guests, are expected to do so before the party withdraws. Similar ceremonial takes place in the Sergeants' Mess, and the other ranks' dining hall, where the latest joined soldier in each Company eats a leek. 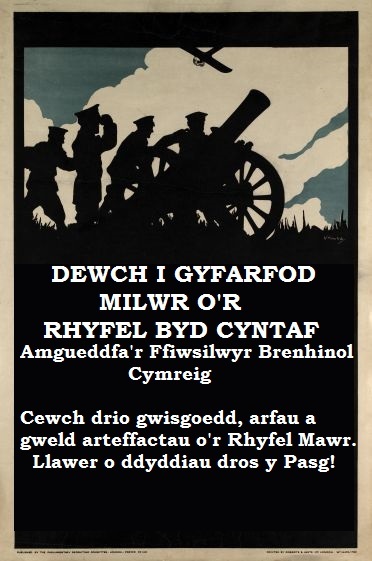 The 53rd (Welsh) Division with the 4th, 6th and 7th Battalions were involved in this bloody and bitter battle which, was one of the most unpleasant of the Second World War. 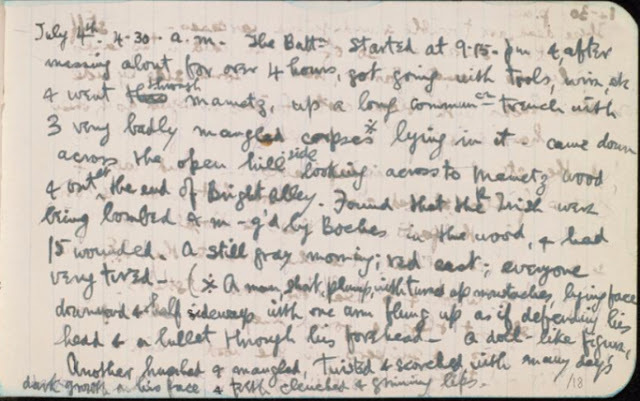 During it, the Commanding Officer of the 7th Battalion, Lieutenant-Colonel Dickson, was killed. 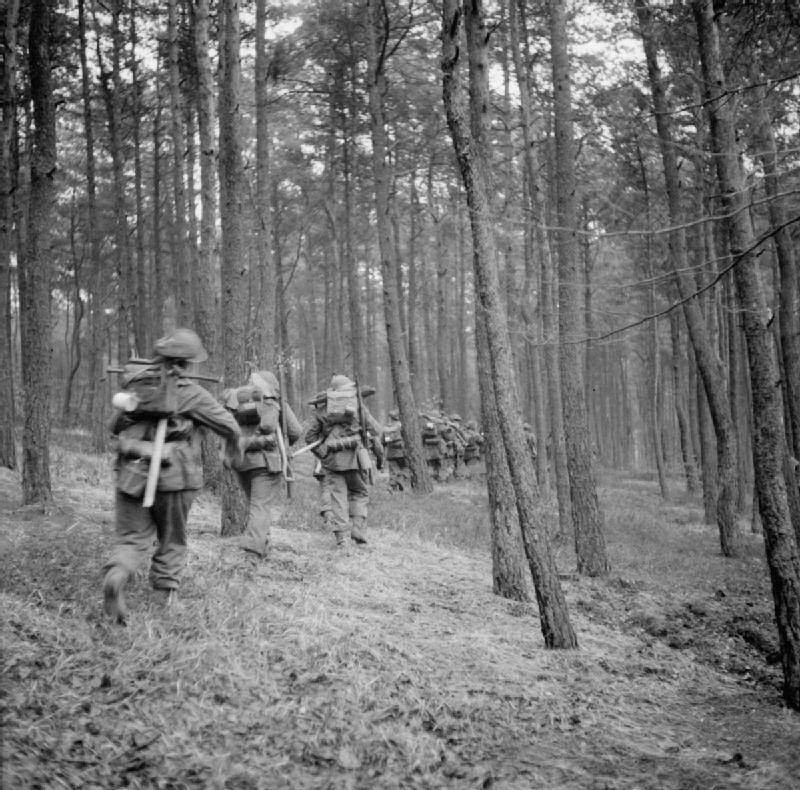 It took many days to clear the enemy from the forest and substantial casualties were suffered in the process. 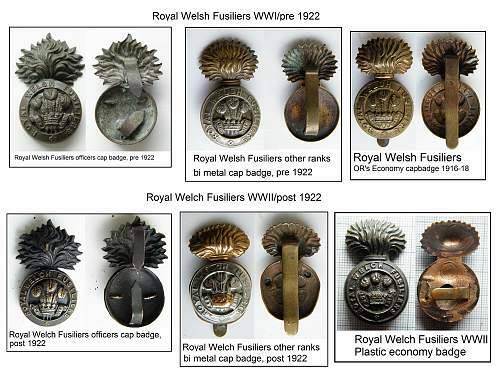 The War Office finally approved the use of ‘Welch’ in the Regiment’s title. 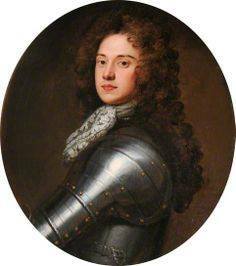 The word had been used in the eighteenth century for ‘Welsh’ and had also appeared irregularly in the title of the Regiment. 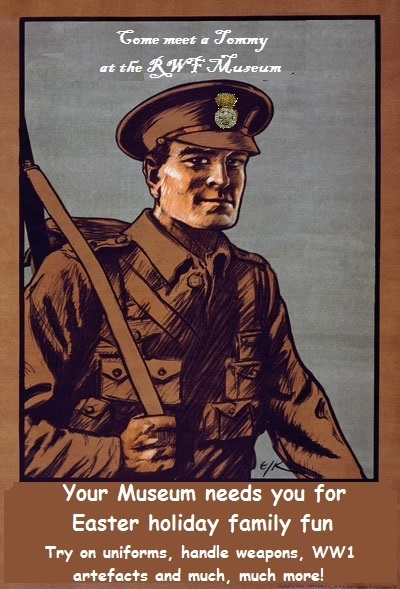 An appeal to the War Office shortly before the First World War to authorise the use of ‘Welch’ was rejected. 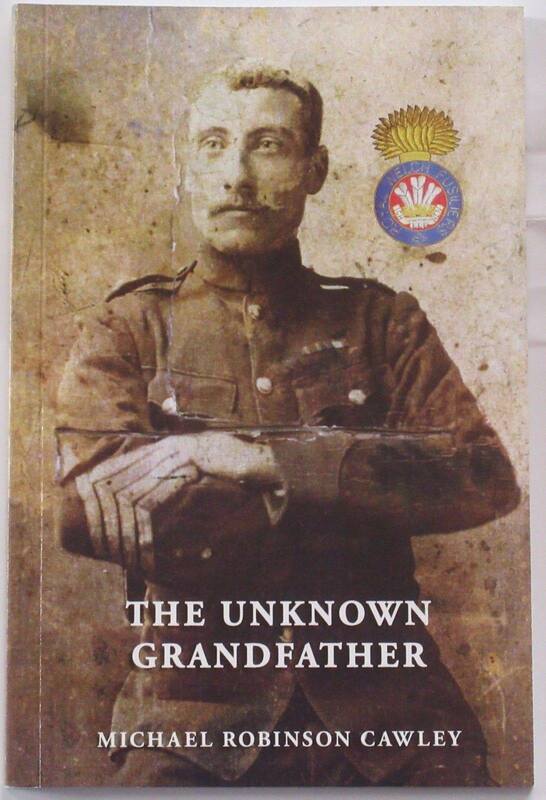 Michael Crawley "The Unknown Grandfather"
As the title suggests this is the biography of the author’s grandfather, Robert Robinson Cawley, a Lancashire man, who served with 1 RWF in India, the Boer War and in the UK between 1890 and 1906. He was the battalion Drum Major before leaving the Army. 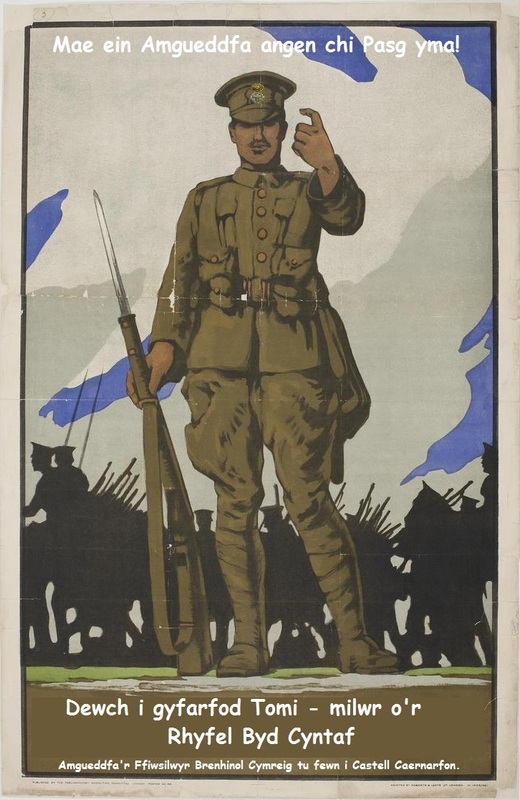 At the outbreak of the First World War he was recalled to the Colours and posted to the 8th (Service) Battalion RWF which formed at Wrexham. As an ex-regular his experience would have been in high demand in this brand new Battalion with very few men with prior military service. 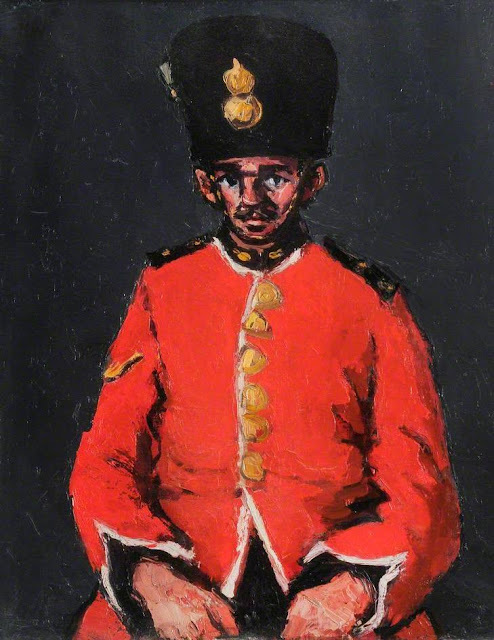 He served with 8 RWF in Gallipoli and Mesopotamia before being awarded a Quartermaster’s commission and posted to India to assist in the training of Indian Army units. Tragically he died of Malaria on 30 June 1918 aged 41. 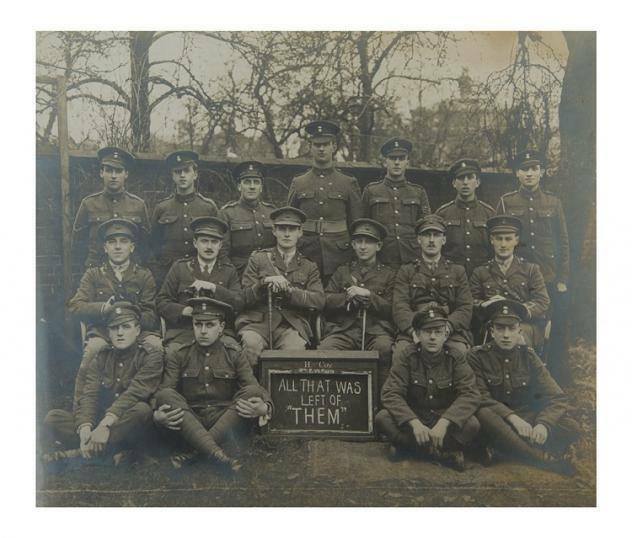 This is a useful book as little has been written about 8 RWF and the author makes good use of existing service records and some personal papers to tell his grandfather’s story. 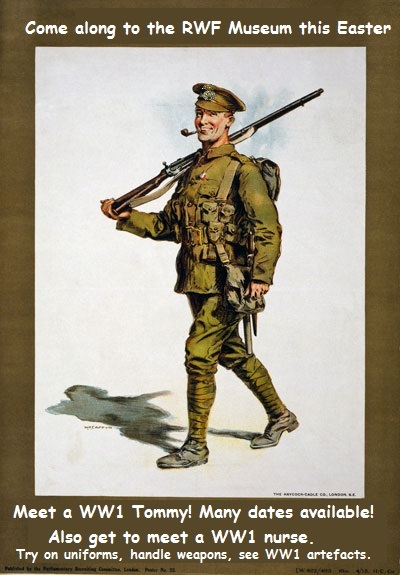 A worthwhile addition our knowledge of the Old Contemptibles who fought in both the Boer and First World Wars.